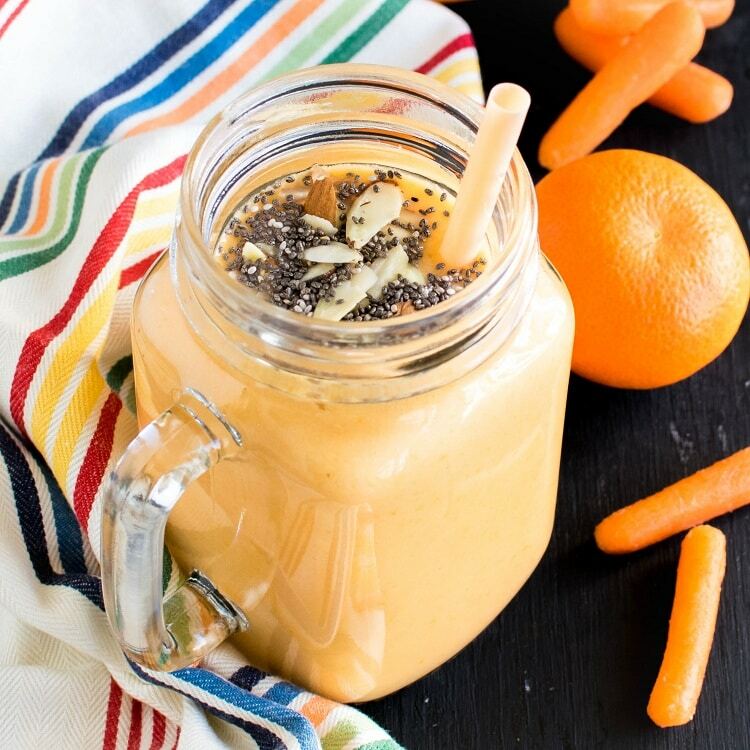 Carrot Orange Spring Smoothie is a refreshing and hydrating beverage. 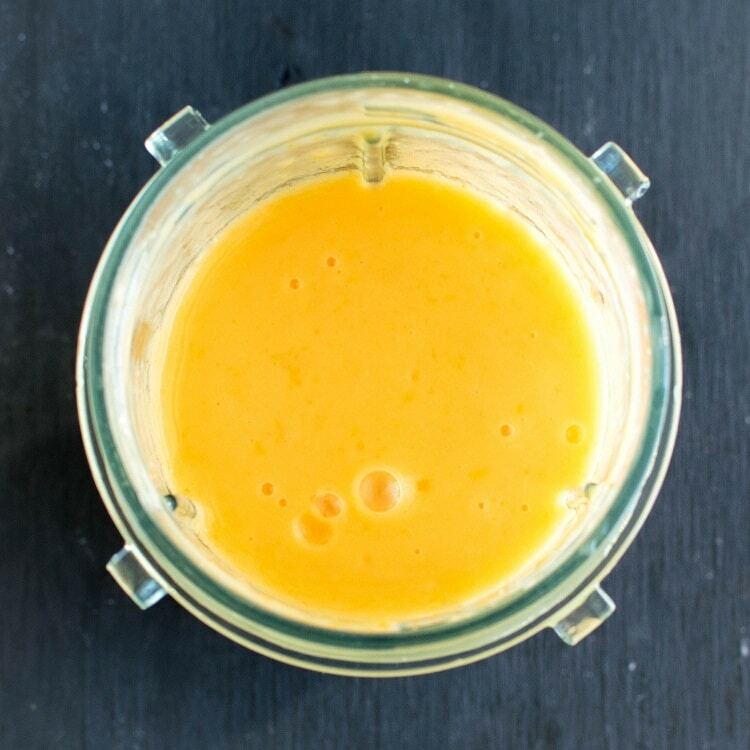 It is perfect for the sunny weather and is loaded with nutrition and vitamin C. It is also a great way to boost your immunity during the allergy/flu season. I love to hydrate myself with smoothie after my every workout. It simply replenishes me with immense energy and much required nutrition. Smoothies are a great way to include fiber, protein, good fat and carbohydrate which is absolutely required for our body recovery after an intense workout. 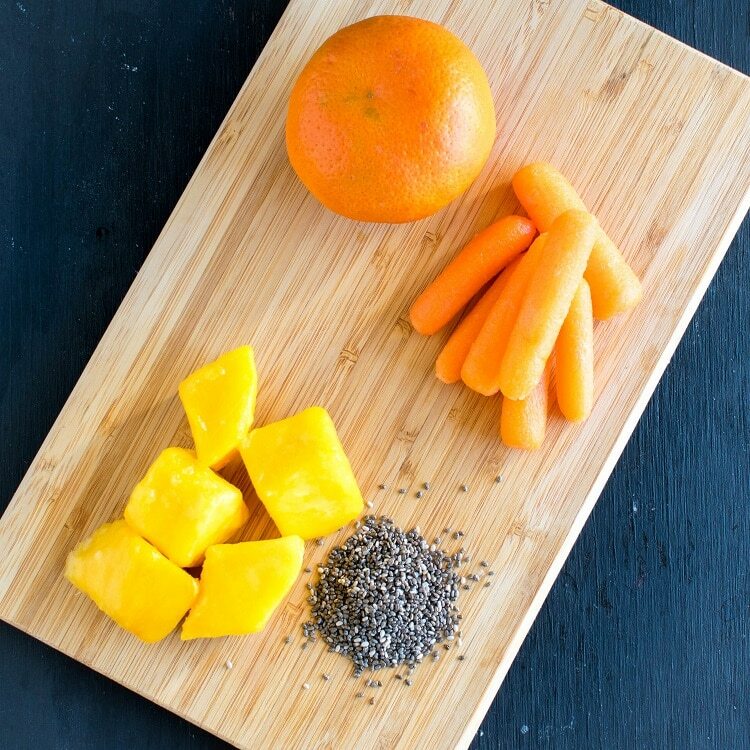 Therefore, this smoothie requires just few simple ingredients and one step of blending. It’s easy, simple, quick and nourishing as well. Smoothies are my favorite go to breakfast and I love to experiment it with different ingredients. I usually find ways to add veggies in my smoothies but if its fruit loaded then it’s absolutely delicious. 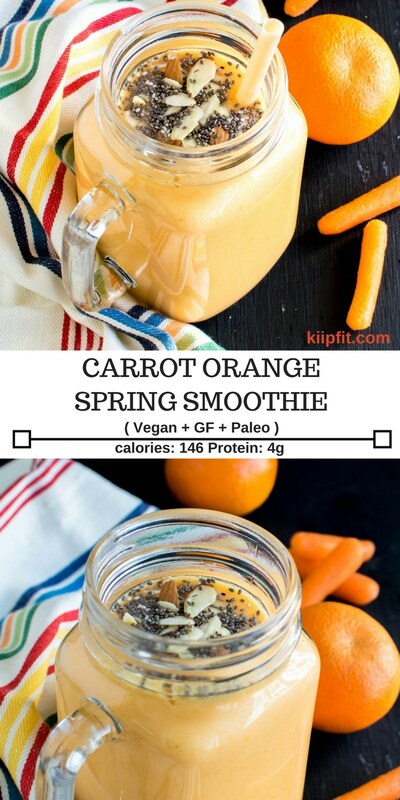 However, I sneaked in carrots in this smoothie to add some veggies and vitamin A into it. I love the fact that smoothies are so easy to blend. It’s just a combination of few ingredients especially if you are cleaning up your refrigerator. Smoothies are a great way to use up leftover fruits and veggies. If you make this recipe then please remember to rate it. Also, leave your feedback in the comments below the post to let me know how it turned out for you. In a blender combine orange, mango chunks, baby carrots, almond milk, crushed ice and sweetener if desired. 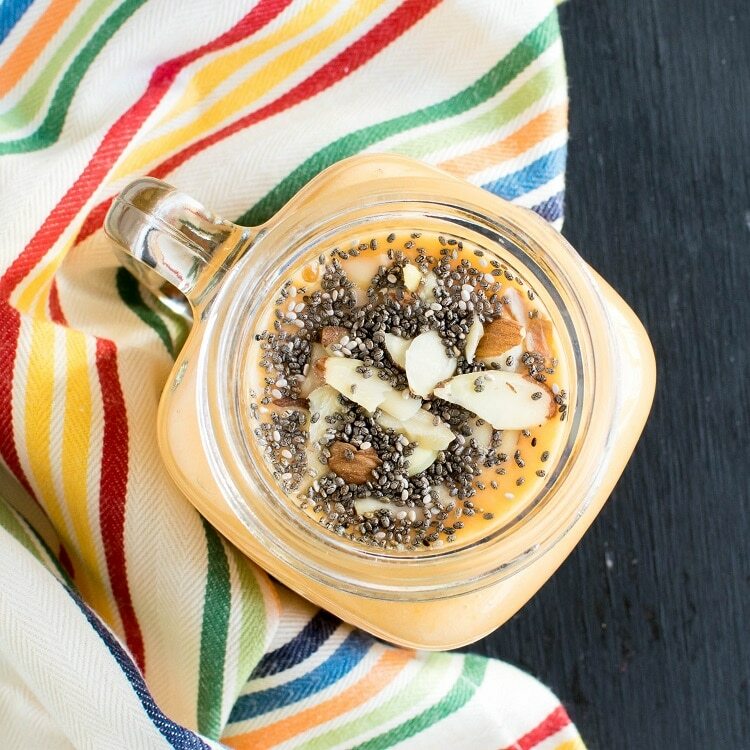 Pour the smoothie in serving glasses and top it with slivered almonds and chia seeds and enjoy immediately. You may add sweetener after blending the smoothie to make sure I you want it in I your smoothie at all. For me the sweetness of the fruits was perfect so I did not need any sweetener. This recipe was originally published on March, 2014. This looks so yummy & easy to make! Anything that has mango in it is super great to me! Yum, I bet the carrots and mangoes are a perfect pair in this. I love smoothies in the morning! I have never had a carrot smoothie before. This is something my husband would probably like.